50% Off One Day Only - On the Road & Recyclables! Today I have a new set of Recyclables and an older travel set that is new to The Lilypad. Enjoy the 50% SOSN discount on these products today only, August 31, 2016. 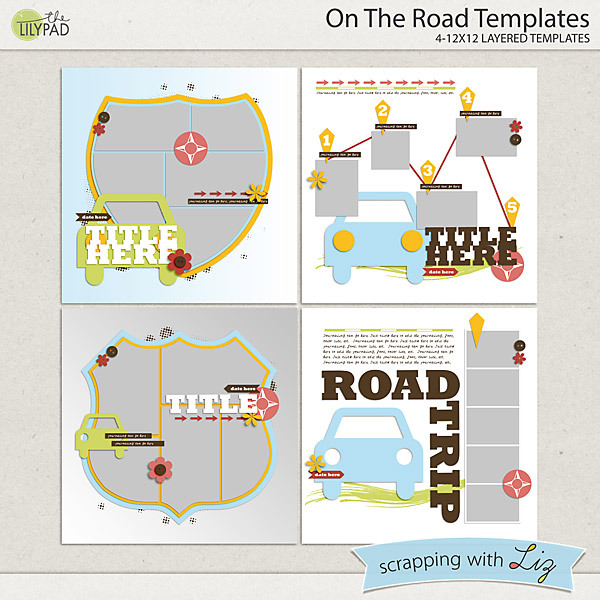 On The Road Templates is a fun set of travel inspired templates, with automobile and interstate shield shapes and some simple graphics inspired by map symbols. 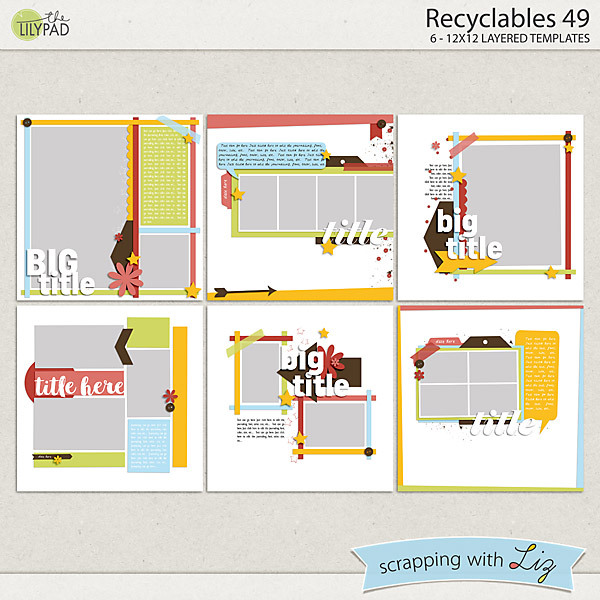 Recyclables 49 is a set of past freebies and challenge prizes. This set has some big photo spots, some photo strips, and lots of paper strips framing up the pictures. Ellen made this gorgeous page using Recyclables 49. 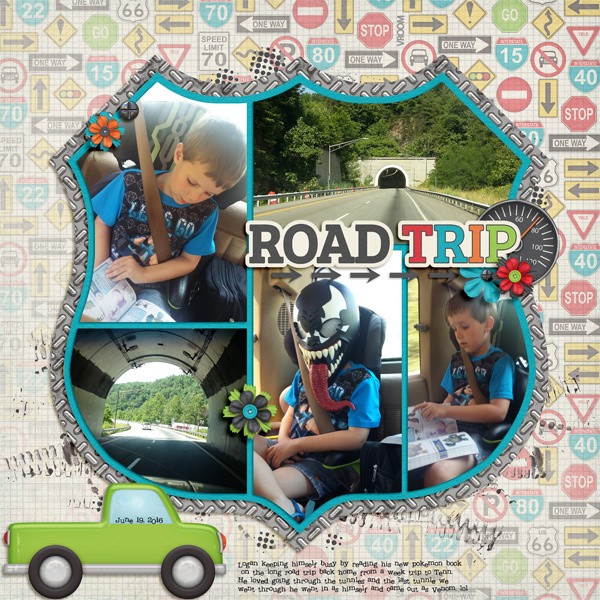 Christine scrapped some road trip photos with On The Road Templates. Donna scrapped about her anniversary with Recyclables 49. I saw this page a couple of weeks ago in the SwL Facebook Group. It really stood out to me. I loved the deep blue with the pops of green and orange. I also love the touch of splatters, scatters and stamps behind the paper squares, it really draws your eye in toward the photo. The touches of stitches and strings are a nice touch. 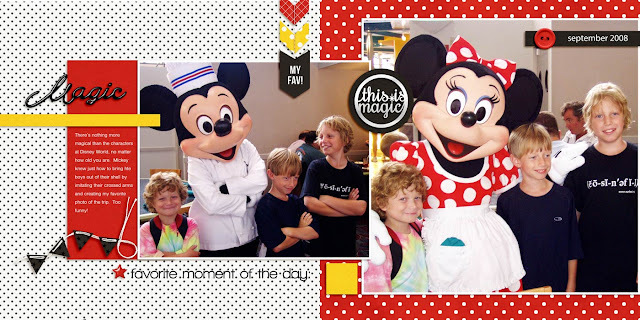 What a fun #selfie page! BTW - I'm horrible at taking selfies. I'm not sure you'll ever see a #selfie page from me, but Kristine sure got it right. Remember to post your pages in the current album (I'll be posting a new one later on this week for September), and you could win $$$ to my store! 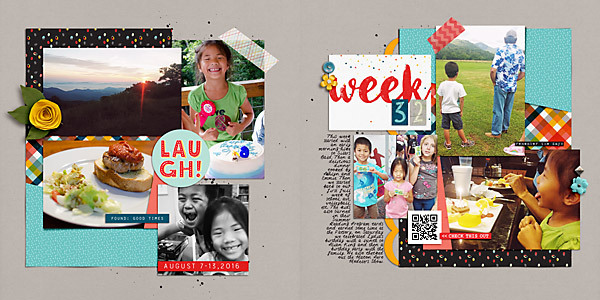 Liz has three new template sets for our calendar topper and monthly review projects. All of these new releases are 20% off through Sunday, August 28, 2016. 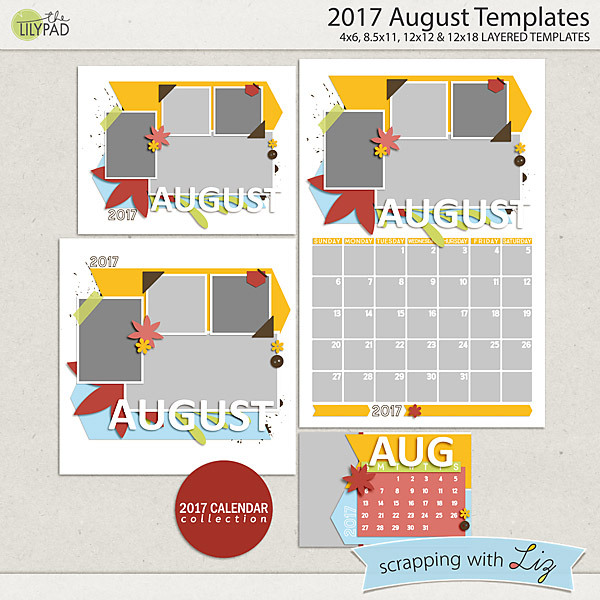 2017 August Templates is the new set of calendar toppers, grid, and card. I love how there is a 12x12 page included here. 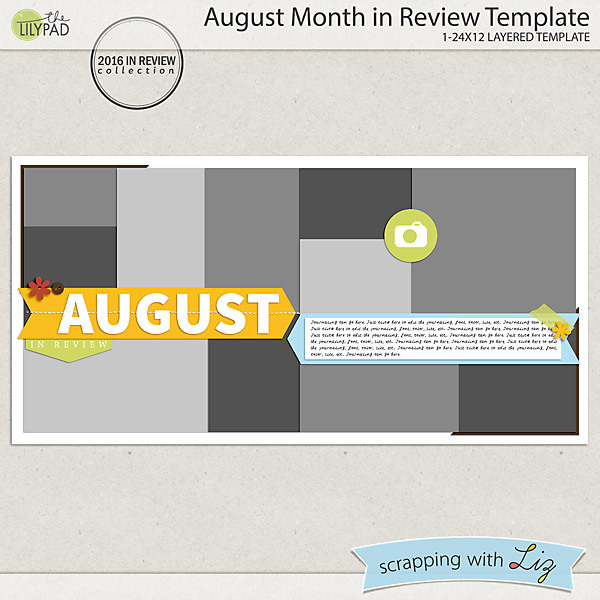 August Month in Review Template is a 2-page spread for scrapping a complete overview of your month. But of course, you can use them for scrapping events, or travel, or just about anything. They are perfect for people who want to focus on the photos. 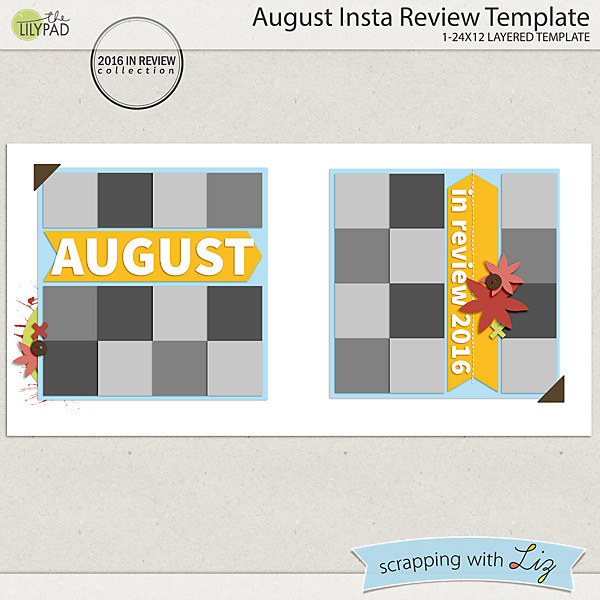 August Insta Review Template is a new design for scrapping 24 small phone snapshots. The simple designs here really lets the photos shine, but also add just the right touch of embellishment. 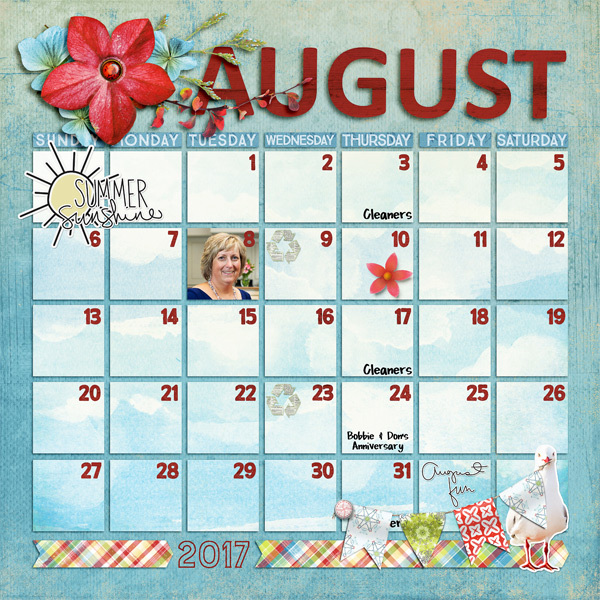 Donna has been scrapping an embellished calendar grid each month. Christine is catching up on 2012 photos! 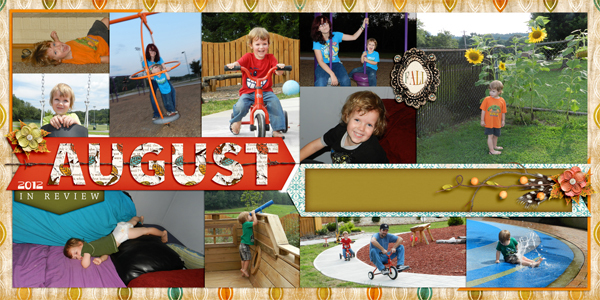 She captured a bunch of fun candid moments from the month. This week was full of activity. Lydia got a new bike for her birthday so we did a lot of bike riding. My oldest went to first day at her new co-op and is officially in high school! Where did the time go? We sewed, did some fun art projects and of course school was a part of all of it. Then we had cousins over to spend the night before they get back into their normal school routine. Then we had even more cousins over the next night. There was a lot of fun going on in our house all week. I kept this week's page super simple. 1. Time. I didn't have a lot of time this weekend to scrap so I just put this page together really quickly. 2. 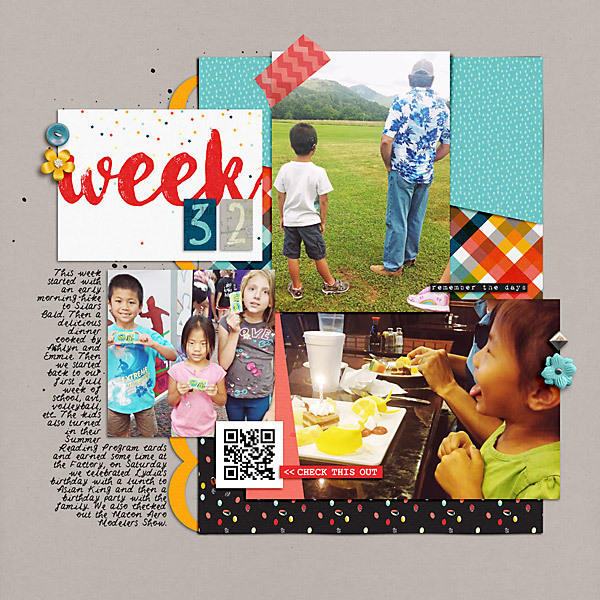 I find that I really do like simple, especially for these weekly pages. I was also reminded about why I scrapbook. My kids have been looking through our albums all week. They love it. They love reading their stories. They love seeing pictures of our old house, of old friends, of events they forgot about. They love when I tell them about a picture or event. It really brings it all together for them. They get to be reminded of how their story is unfolding. Today I some old favorites on sale. Enjoy the 50% SOSN discount on these products today only, August 24, 2016. 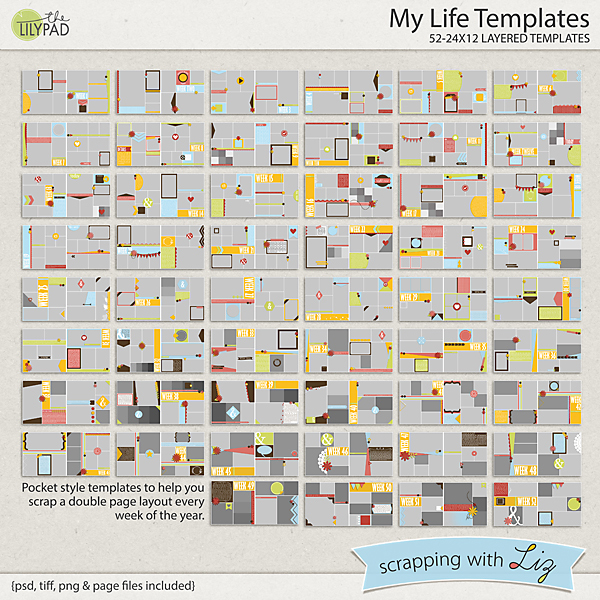 My Life Templates is a year long template album in a digital pocket style. They have the blocked pocket look, but I also included some large photo spots. There is a lot of variety from page to page, and they work great for stand-alone pages too. 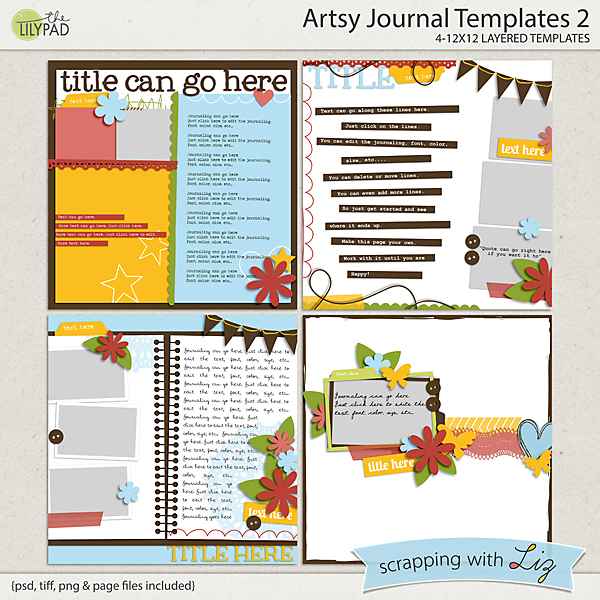 Artsy Journal Templates 1 was the very first set in this popular line. 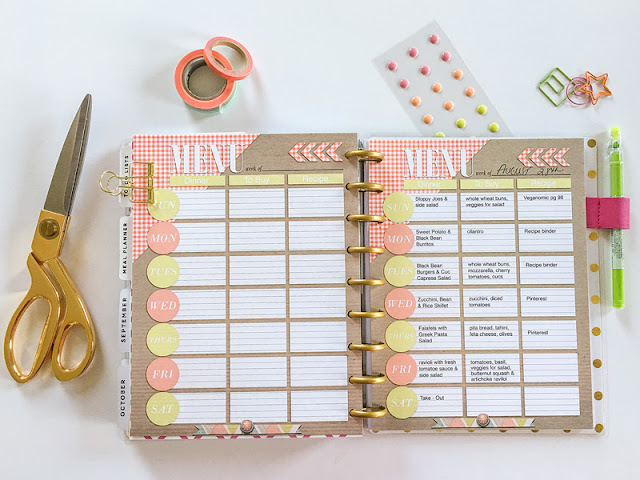 They have playful arrangements with lots of tilted hole-punched papers and file tabs. This set has lots of space dedicated to journaling. 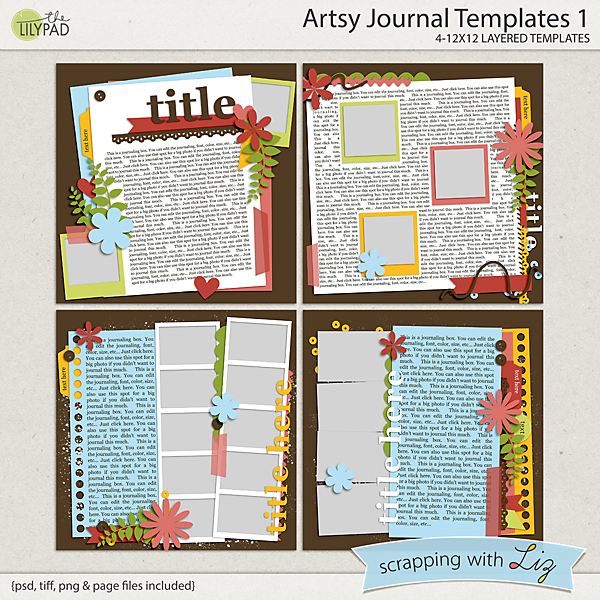 Artsy Journal Templates 2 continues with the "artsy" theme with more doodles and stamps, journaling on paper strips, and papers that look torn from a ring binder. Katya scrapped a special event with My Life Templates. 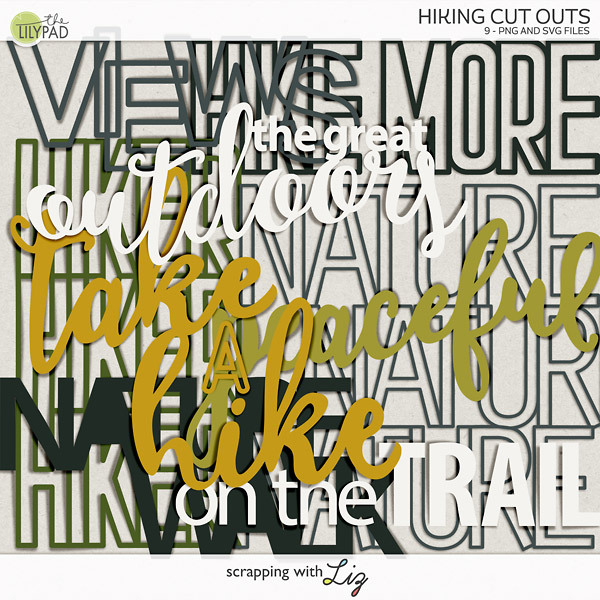 Amanda replace a journaling block with a graphic illustration, using Artsy Journal Templates 1. 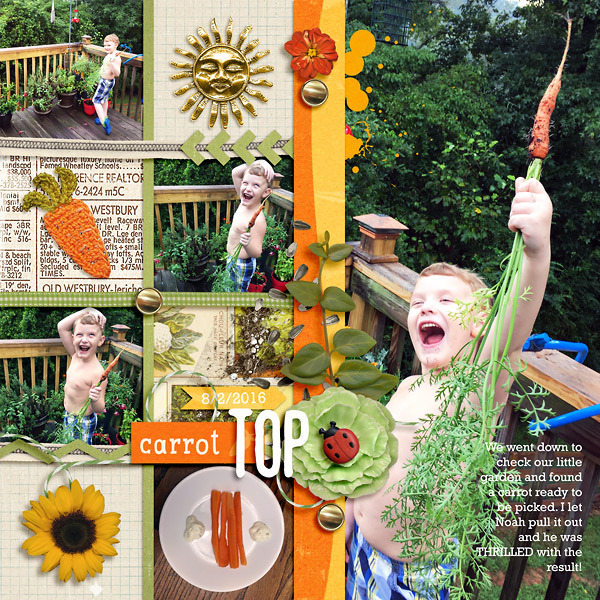 Rebecca scrapped an assortment of photos and lots of journaling with Artsy Journal Templates 2. 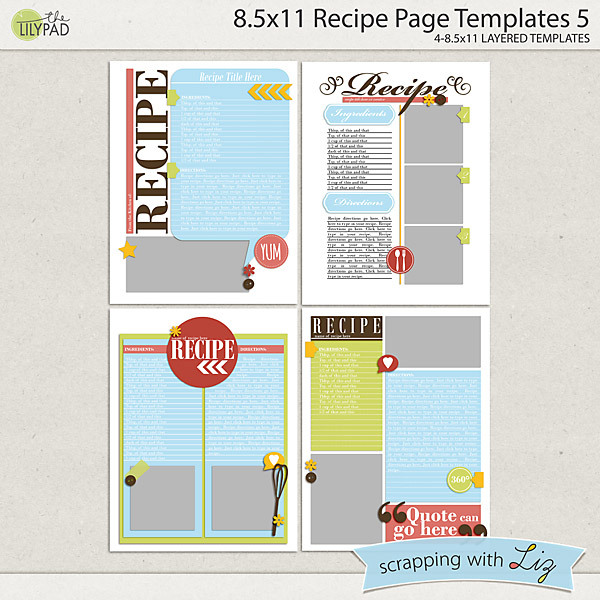 Liz has some new templates for us! 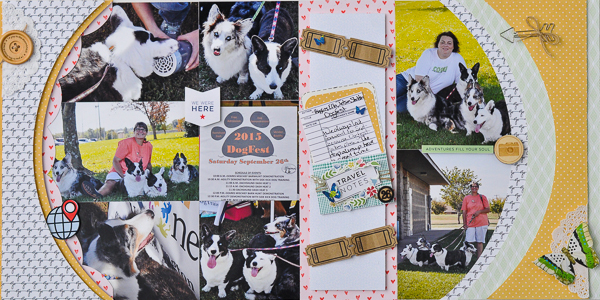 Team member Amanda requested some more of the magazine style templates, and Liz obliged, with double-page designs. 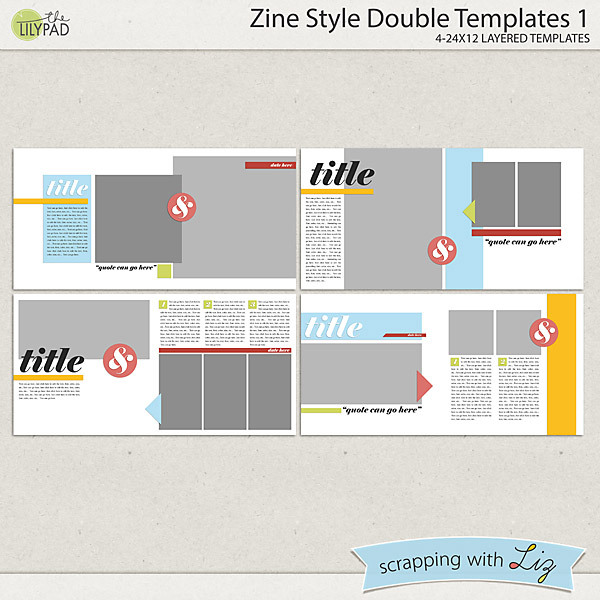 Zine Style Double Templates 1 and Zine Style Double Templates 2 both have big feature photos and with smaller sections of supporting photo spots and text columns. They are slick and minimal, but depending on what kinds of kits you use, you can take them in any direction. They are on sale 20% off through Sunday, August 21, 2016. 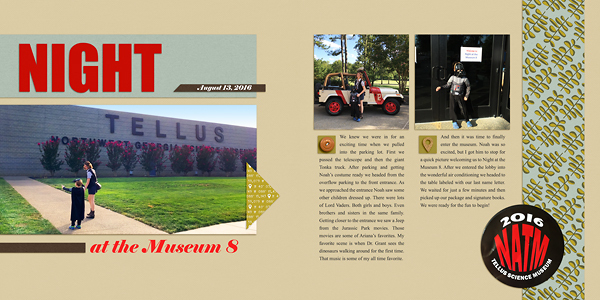 Donna made a magazine style layout with a white background and bold title font. 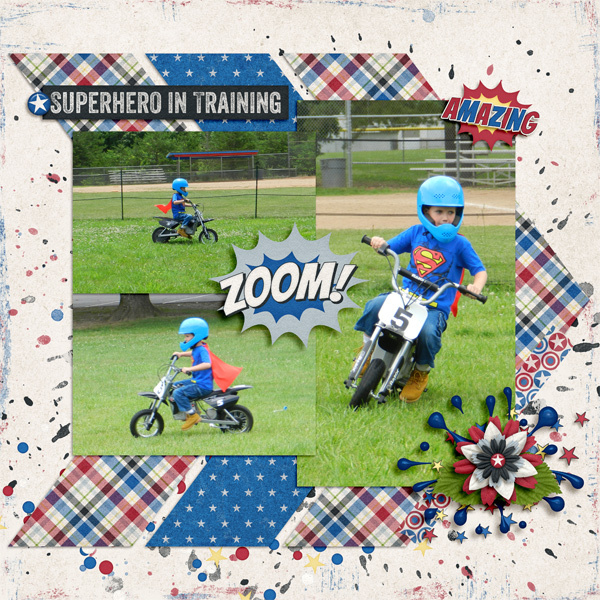 Cindi created a page with a traditional digital style. Amanda kept things clean and made a minimal page. This week was full of so much goodness. An early morning hike with friends to watch the sunrise over the mountains, dinner made by my daughters, school, birthdays and more. 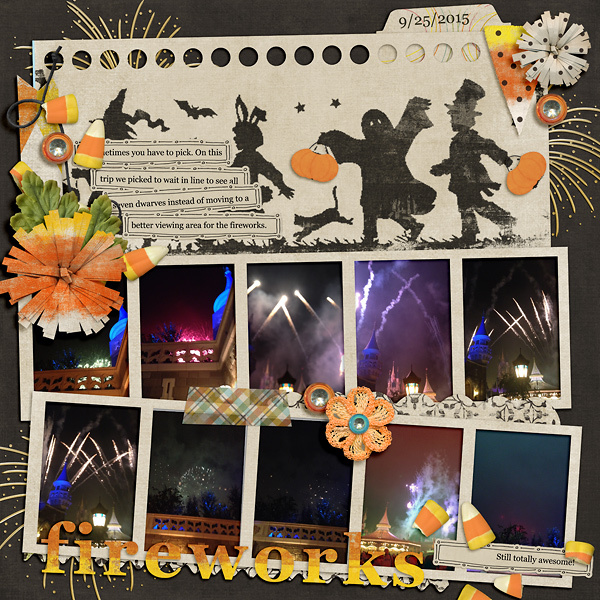 I love sitting down every Saturday night, going over my pics from the week and putting together a page. It gives me a reminder that my life is blessed. So blessed. Look at those smiles. I just love 'em. Today I have three oldies on sale for you. 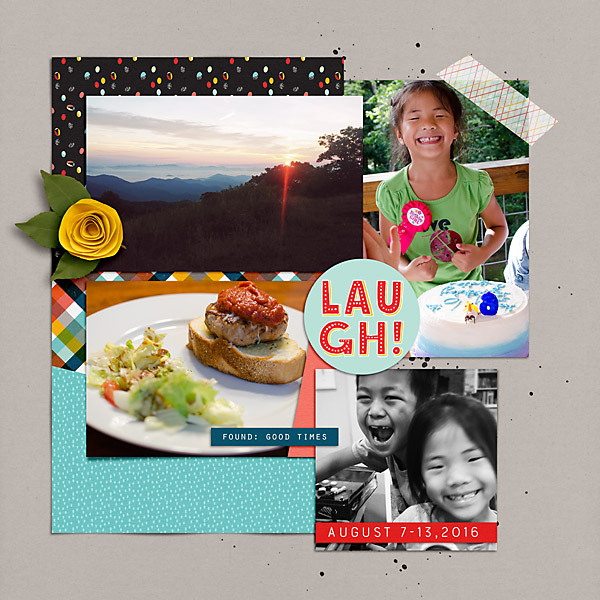 This is a really fun mix of products, not just for scrapping your memories, but for decorating your Facebook page and making calendars. Enjoy the 50% SOSN discount on these products today only, August 17, 2016. 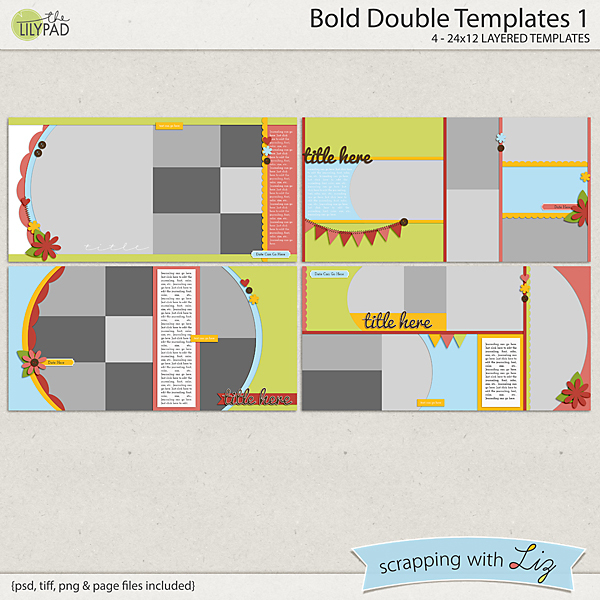 Bold Double Templates 1 is a great set of doubles with lots of photos, and a mix of photo sizes. 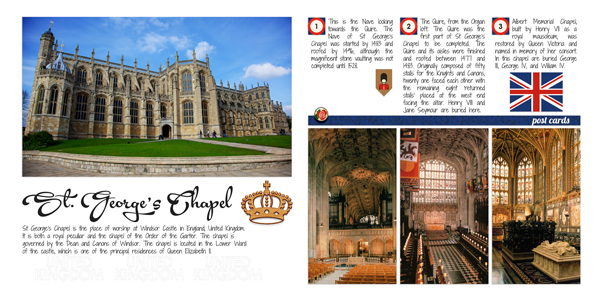 Several of the pages have big circular edges and scallops, which make a striking contrast with the blocked photo spots. 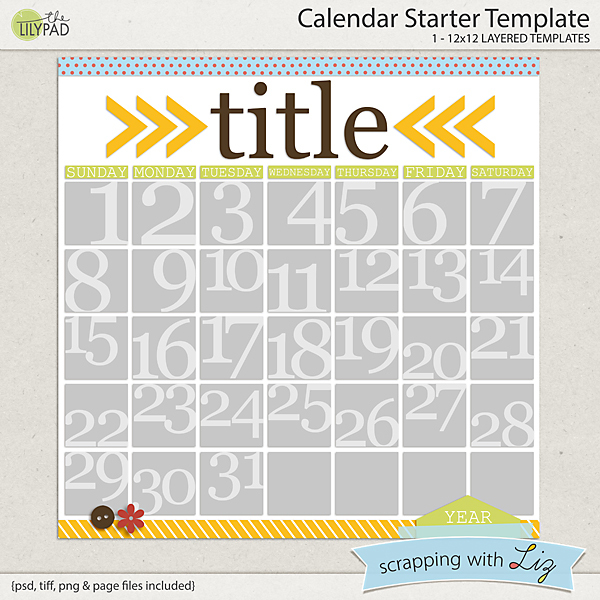 Calendar Starter Template is meant to be a versatile design that you can use over and over for multiple months. You can use it scrap your photos in all of the spots (like a 365 project), or simply use it as a unique way to create a calendar (placing photos on significant days). 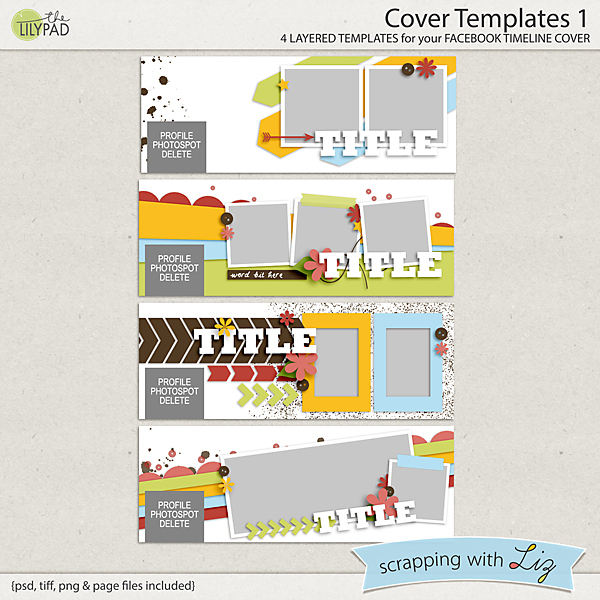 Cover Templates is a set of four designs for decorating your Facebook page with your scrapbooking supplies. 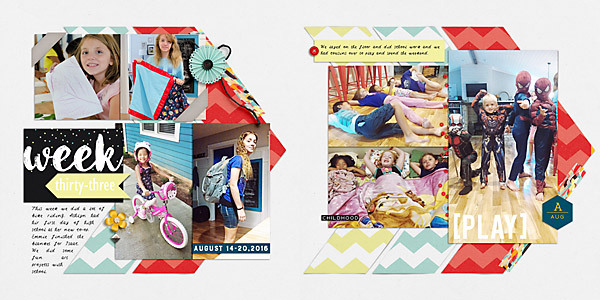 Here is Katya's page with Bold Double Templates 1. 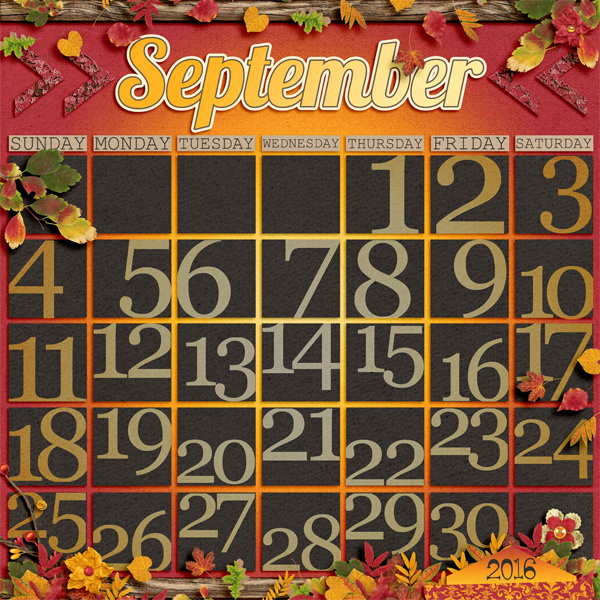 Christine's September calendar with Calendar Starter Template screams golden hour! And here is a cover image I made myself with Cover Templates 1! 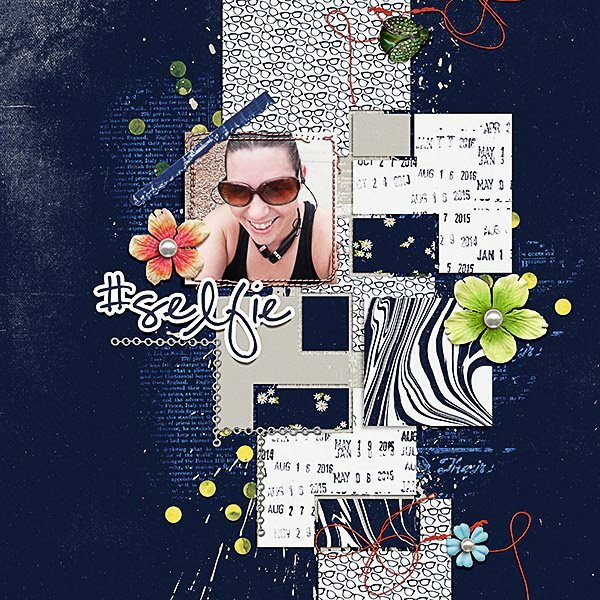 Here's a gorgeous hybrid page by Katrina using the Bold Double Templates. Today's Highlight is brought to you by Kim. I love when I see older photos being scrapped. I love looking back myself, and I know her family will too. 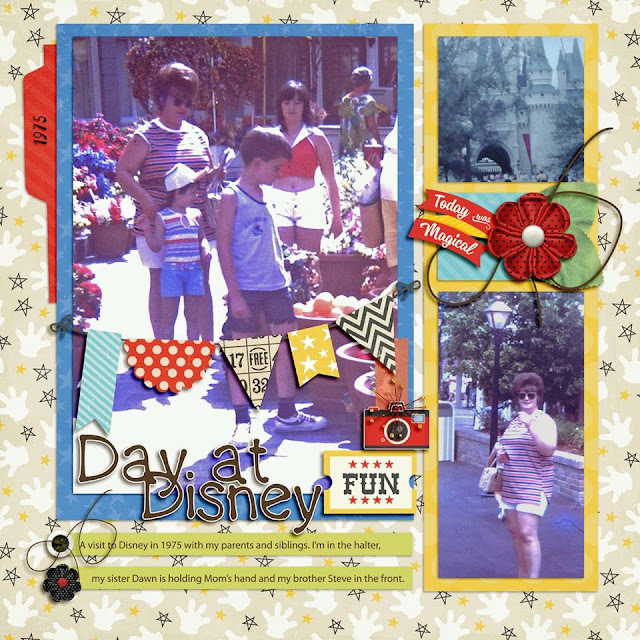 Look at those fun pics of Disney back in the 70's, so cool! Remember to upload your pages to the SwL Gallery. It's a great place to share inspiration and there's a chance you'll get highlighted on the blog and win some money to my store! It is Quarterly Sale time! Storewide, everything is 30% off including new releases. AND there is a free kit with purchase! It's a great time to shop! The sale and FWP are active August 12-15, 2016. 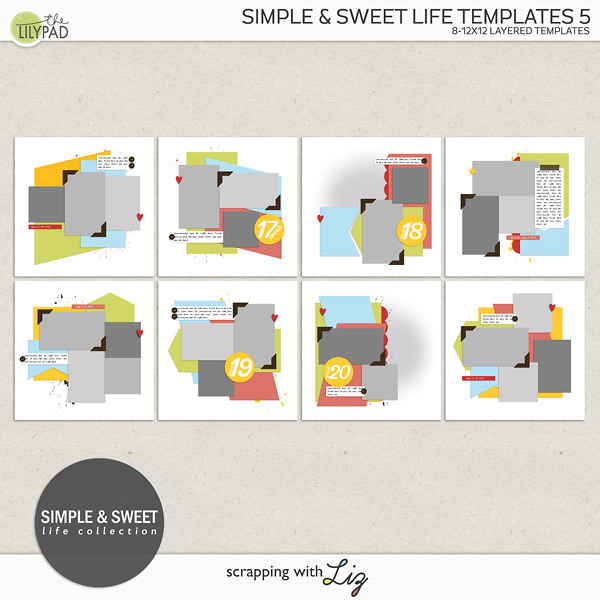 Liz has several new releases in the sale: new templates for weekly life scrapping, recipe book building, and a meal planning tool. Let's see them! 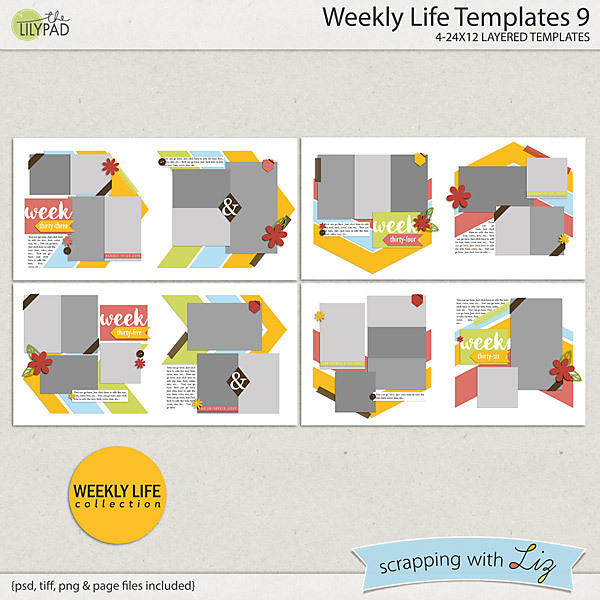 Weekly Life Templates 9 are great for scrapping daily photos, or as a stash for stand-alone pages. 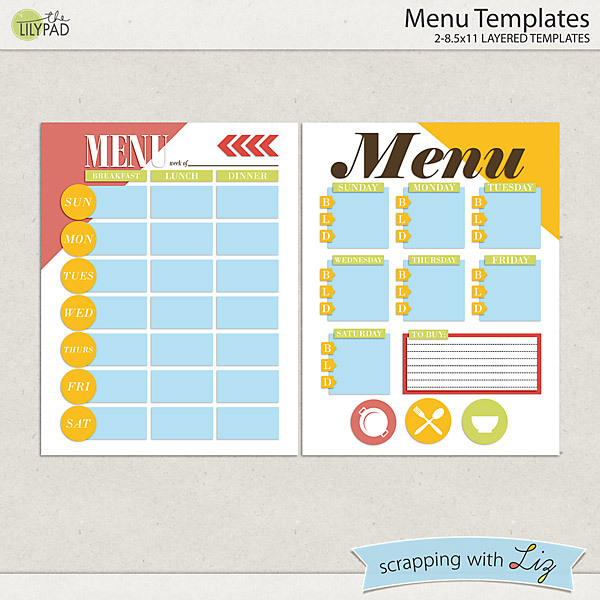 Menu Templates are designed for you to print out, and then slip into a page protector or a frame. 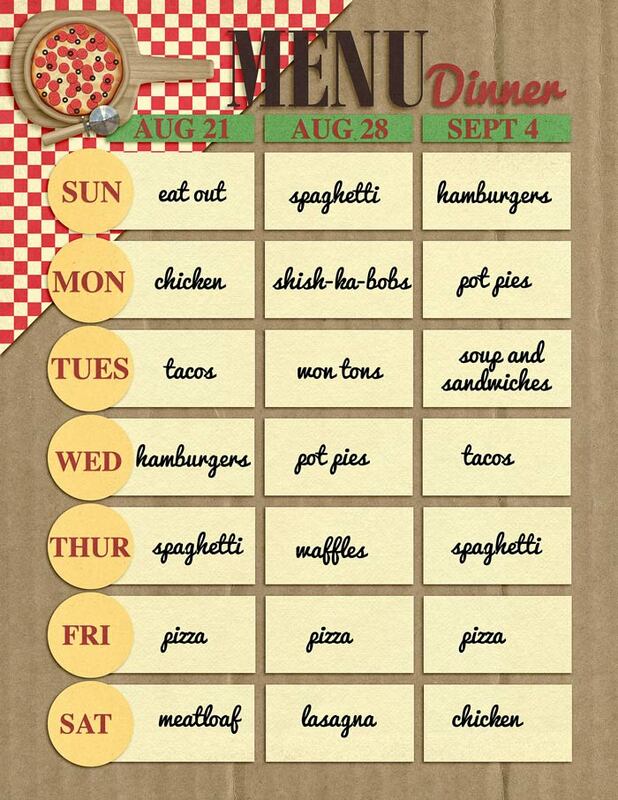 Fill in your weekly meal planning with a dry erase marker. 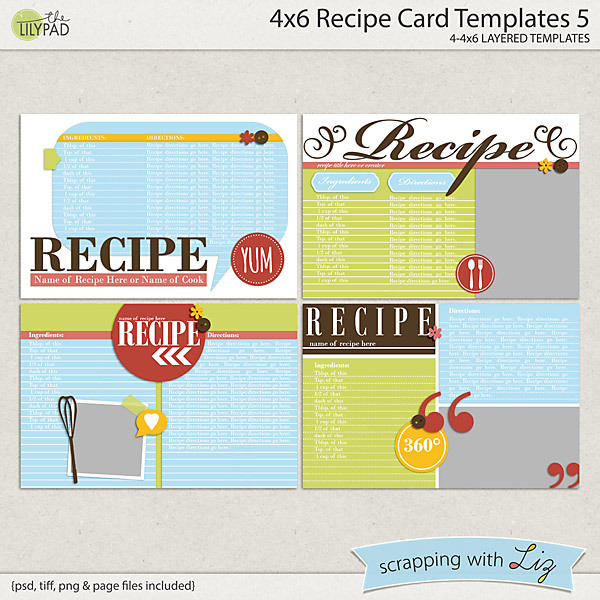 And here are new Recipe templates in 4x6 and 8.5x11 formats. 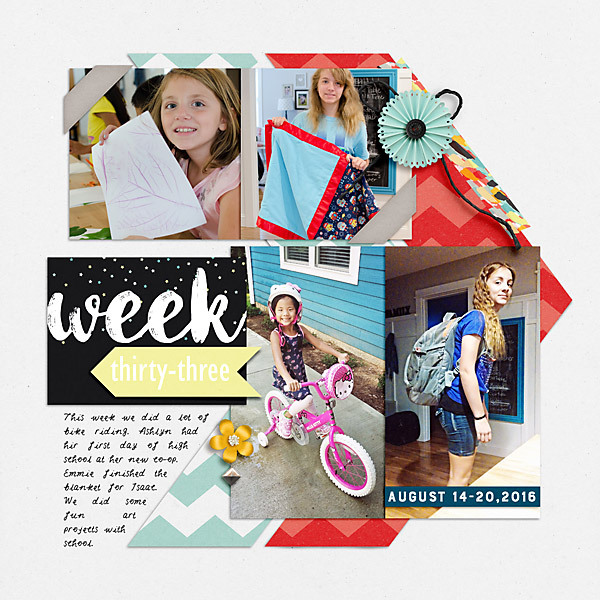 Here is a single page from Christine with Weekly Life Templates 9. 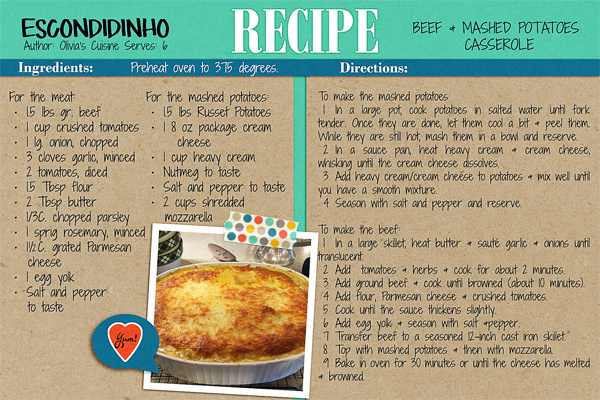 Donna is still working on her recipe cards, with 4x6 Recipe Card Templates 5. Did you know if you print these out with Persnickety Prints, they are waterproof?? 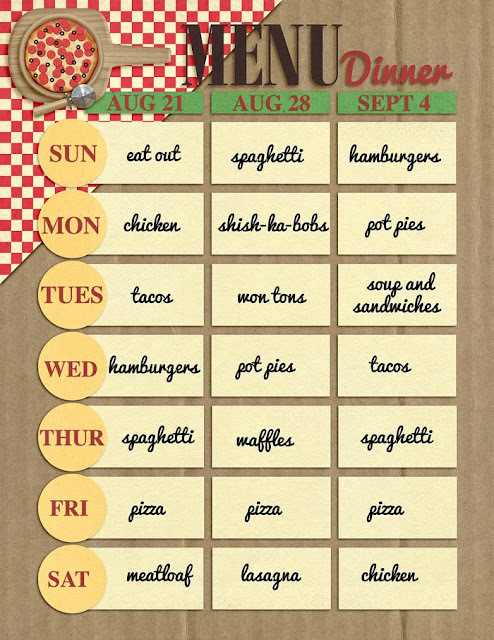 And here is a sample weekly menu from Cindi, using Menu Templates. And check out this hybrid page by Polly Jenn. It makes me want to do hybrid. 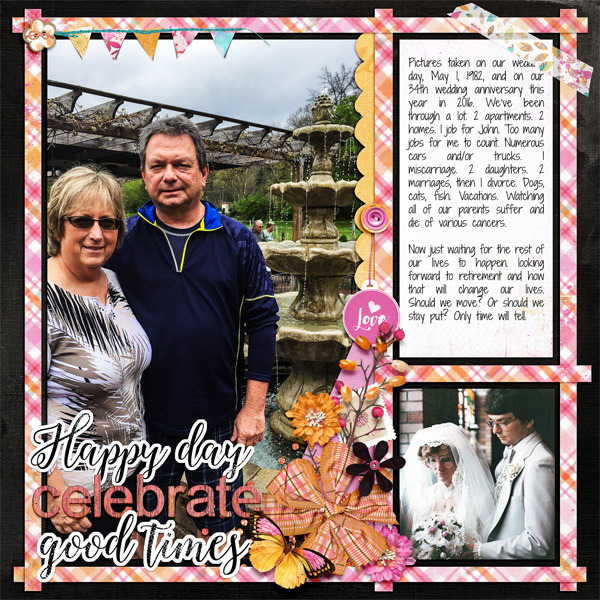 Here's another one using Weekly Life 9 made by Polly Celeste. I love that light blue background paper with all of those pops of color on top. It was another week filled with a lot of different fun activities. 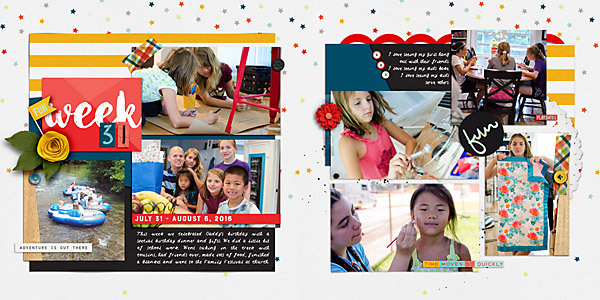 We are winding up summer and slowly getting into the school work but also trying to enjoy a last few summer activities. We tubed down the river, hung out with friends, enjoyed the Family Festival at our church, and celebrated dad's birthday along with normal activities around the house. 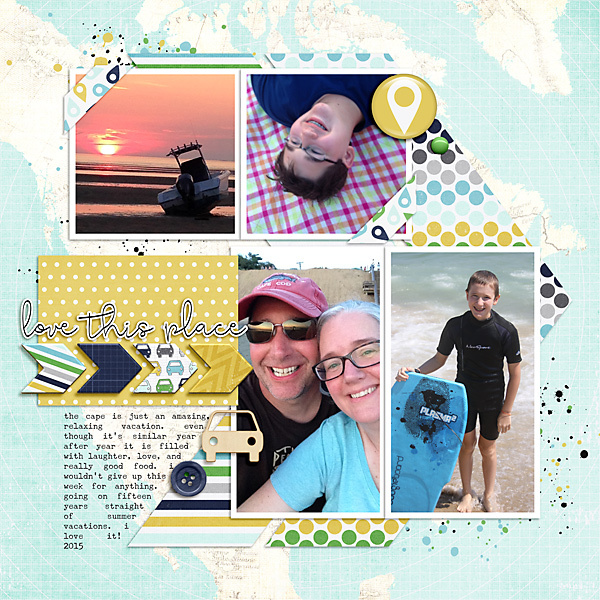 I'm loving the August '16 Discover MPM kit at TLP. The colors are bright and bold, but also neutral to be used with everyday life photos. 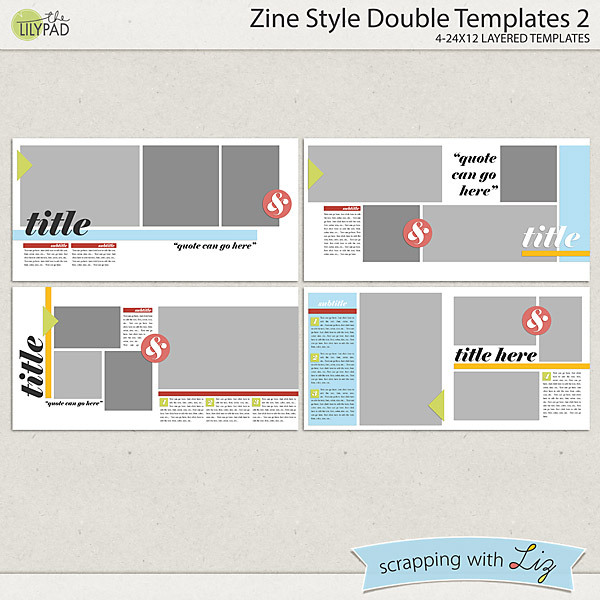 Today I have two older template sets on sale: some list templates, and some full page blocked designs. Enjoy the 50% SOSN discount on these products today only, August 10, 2016. 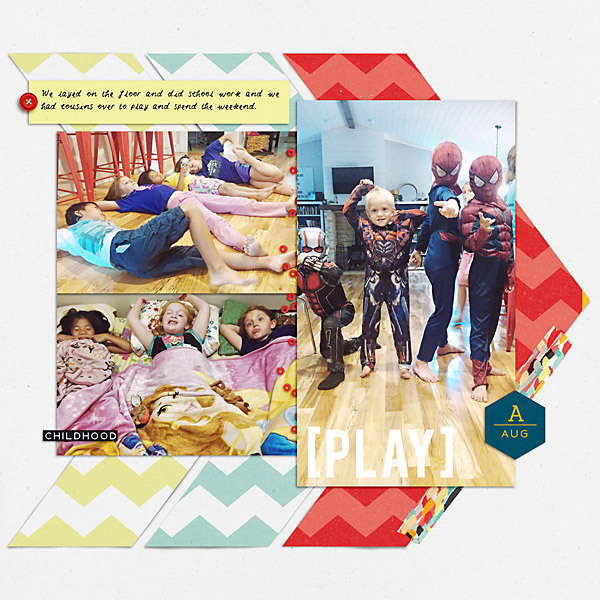 Blocks and Paper Strips Templates are full page designs with lots of paper strips framing up the photo spots. 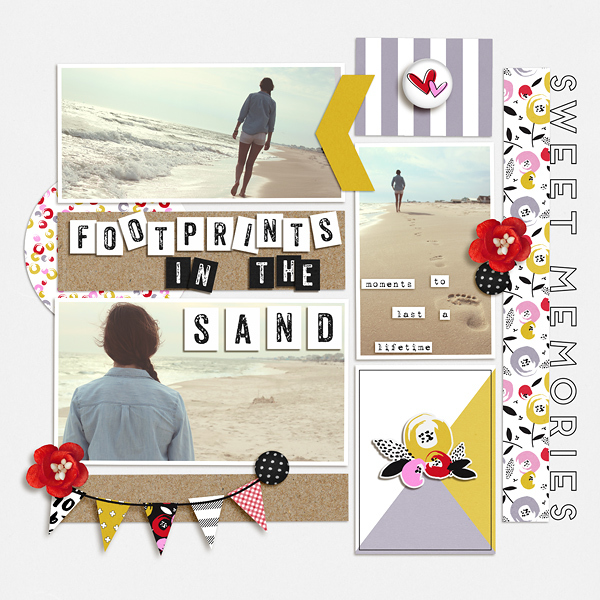 They are great for scrapping lots of photos, and for building 2-page designs. 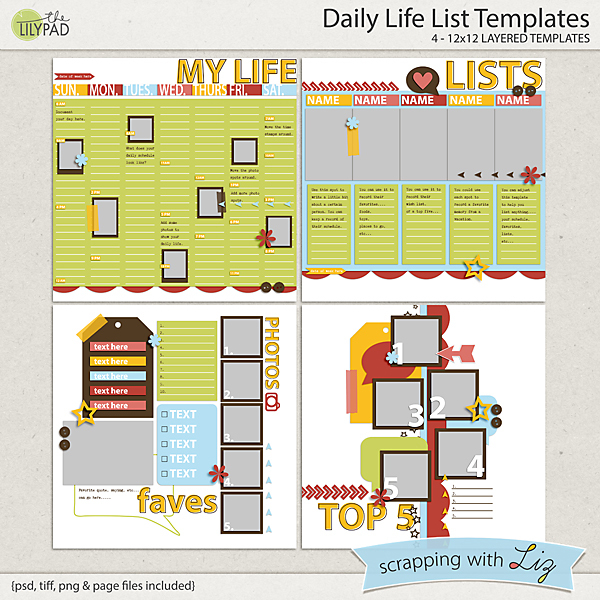 Daily Life List Templates are a fun take on list scrapping. 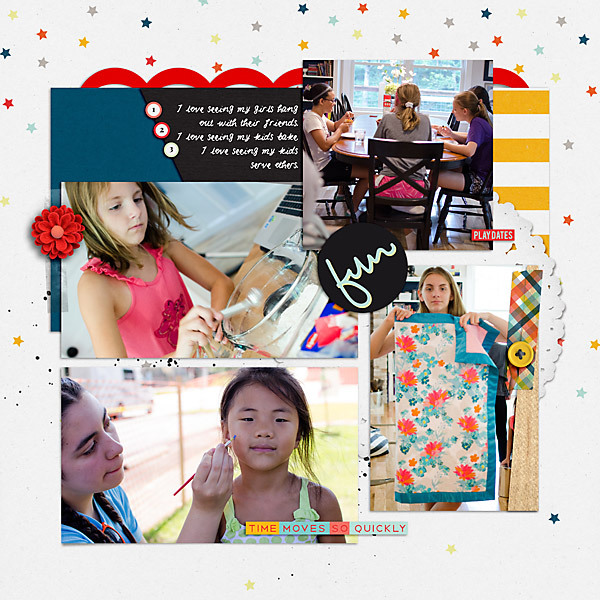 Each has 5 or 7 photo spots and space for journaling about each day. Whether you scrap your daily details, or just some current favorites, these are really fun to use! 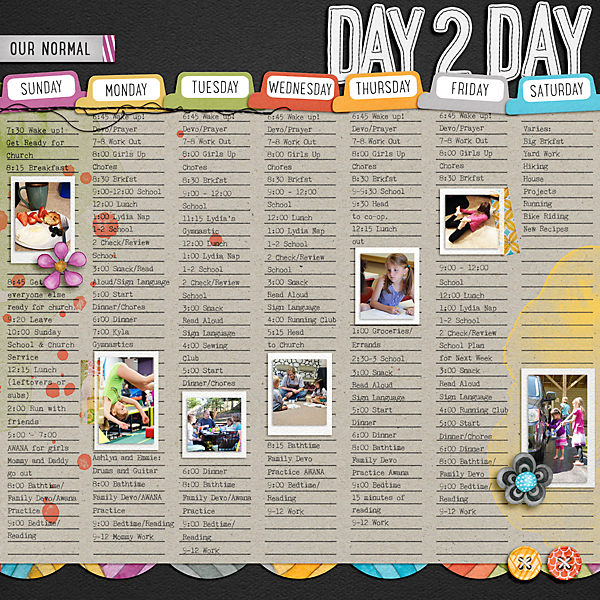 Here is an old page I made when Daily Lift List Templates were new! 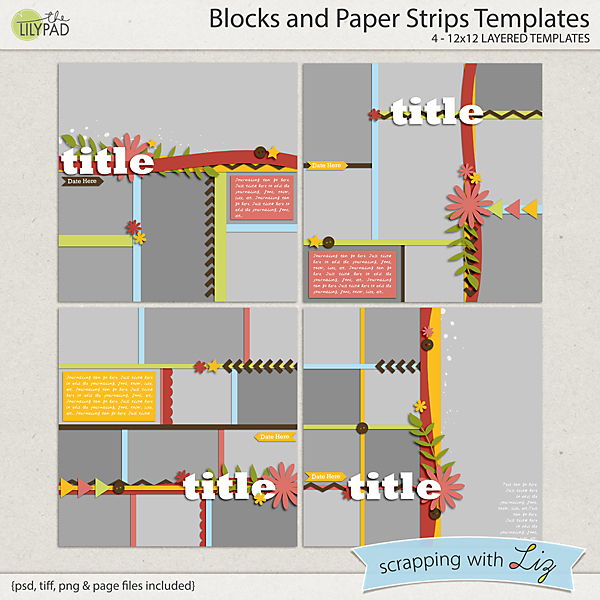 And here is Amanda's page with Blocks and Paper Strips Templates. Grab 'em both at 50% OFF today only! Week 30: Celebrating, LOA and more Celebrating!